I hope you’ve had a good couple of weeks. Sadie and I have covered an awful lot of ground and seen some pretty incredible sights & scenery, so I have really tried to only share the best of the best in terms of photos in this blog. 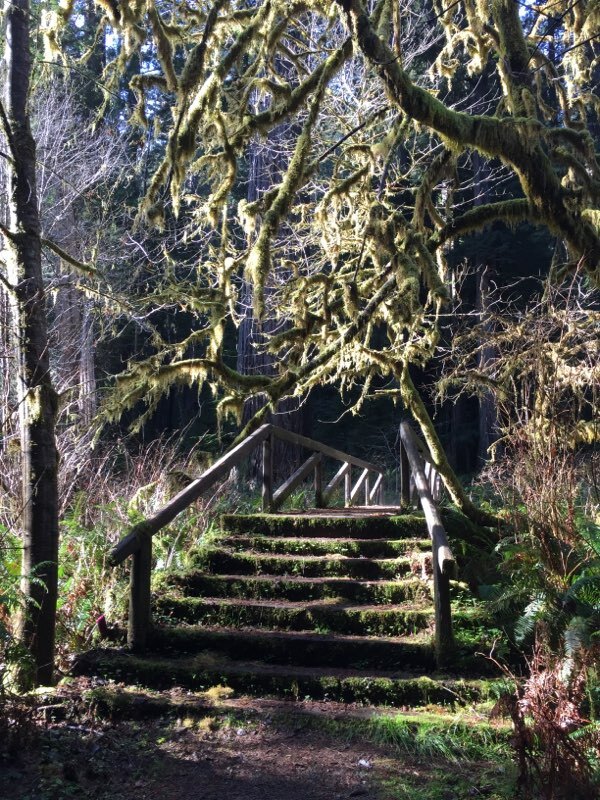 When I last posted (about the creepy massage), I was just about to leave Florence, Oregon and head to the Redwood Forest in Northern California. 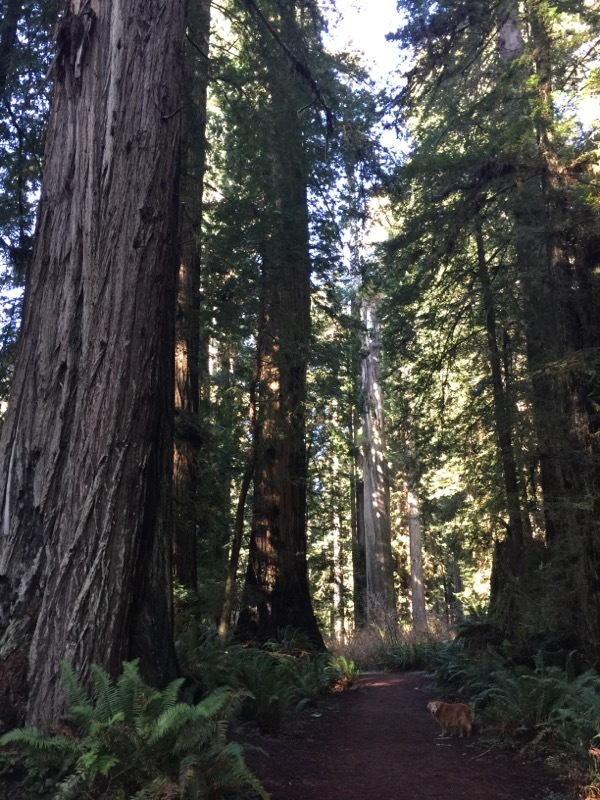 Just a note to anyone thinking of visiting the Redwood Forest with a pooch – there are very few trails that dogs are allowed on. 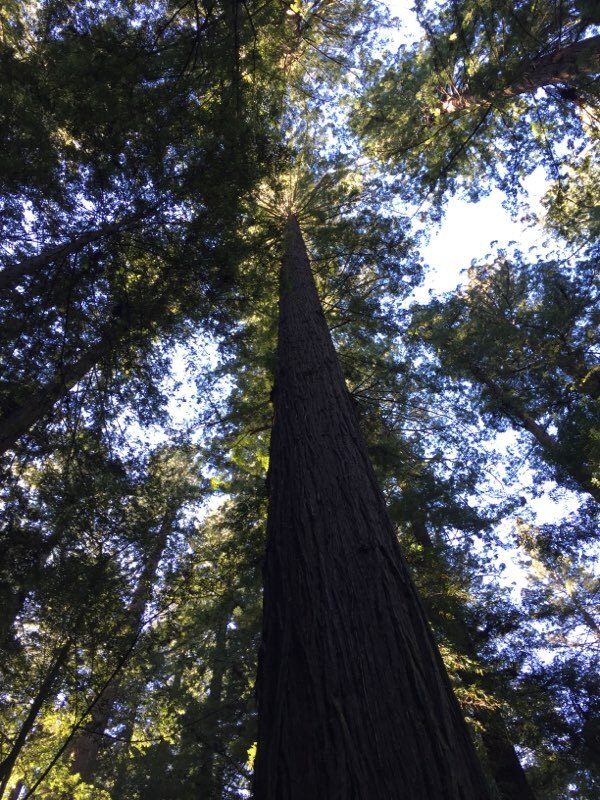 Sadie and I got busted by a Park Ranger (a female one – bummer!) on one of our forest-forays. After that, she had stay in the car while I ran off into the woods on mini-hikes. 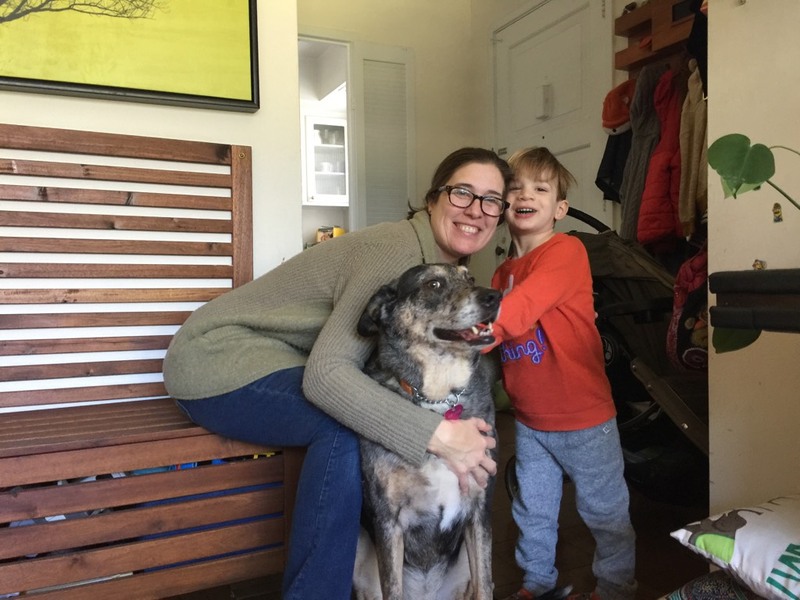 After that, we headed to Berkeley (just east of San Francisco), where I met up with Ann Davidman, author of Motherhood: Is It For Me? It’s an excellent resource for women who are working through the “To be or not to be…a Mom?” decision. I reviewed the book last year. 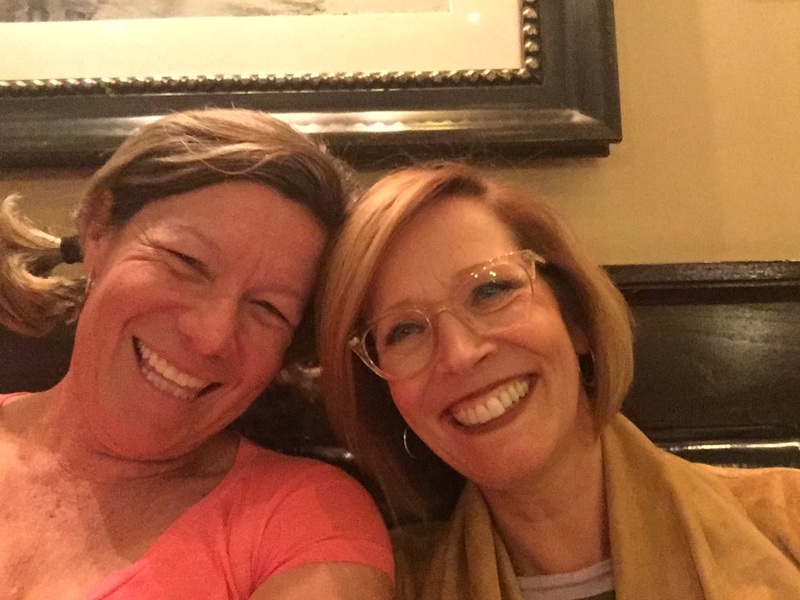 Ann had seen our documentary, Whatever Floats Your Boat…Perspectives on Motherhood, which also explores that question, and then we connected on Twitter. So it was great to meet Ann in person…we gabbed for hours! 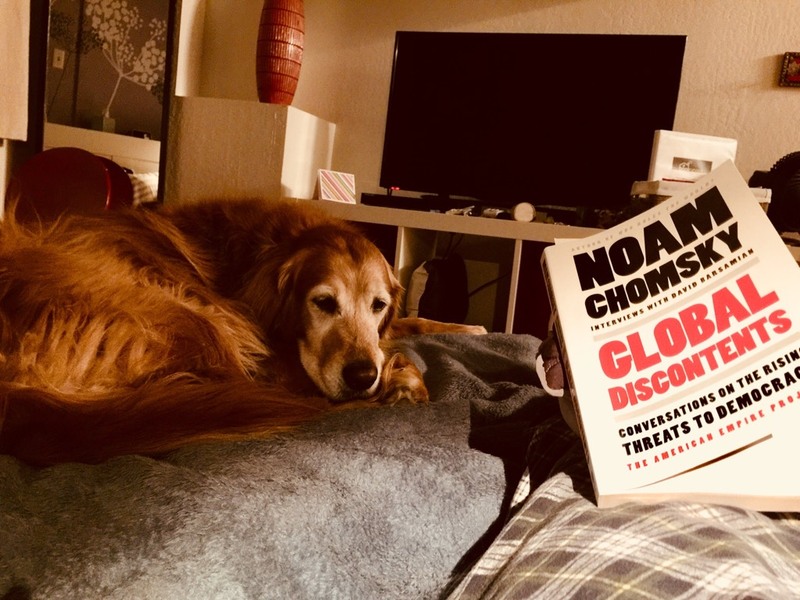 Saturday night in Berkeley was spent reading Noam Chomsky’s latest book…not exactly light reading, let me tell you (but it was the perfect purchase from a Berkeley bookstore). As perhaps you can tell from Sadie’s concerned expression 🙁 Chomsky has much to say about climate change. But I shall save Noam’s comments for a future blog. On a much cheerier note, in Santa Clara I met up with a dear friend whom I hadn’t seen in far too long: Tina Maat-Kristensen! Tina was one of the participants in the Whatever Floats Your Boat…Perspectives on Motherhood documentary. 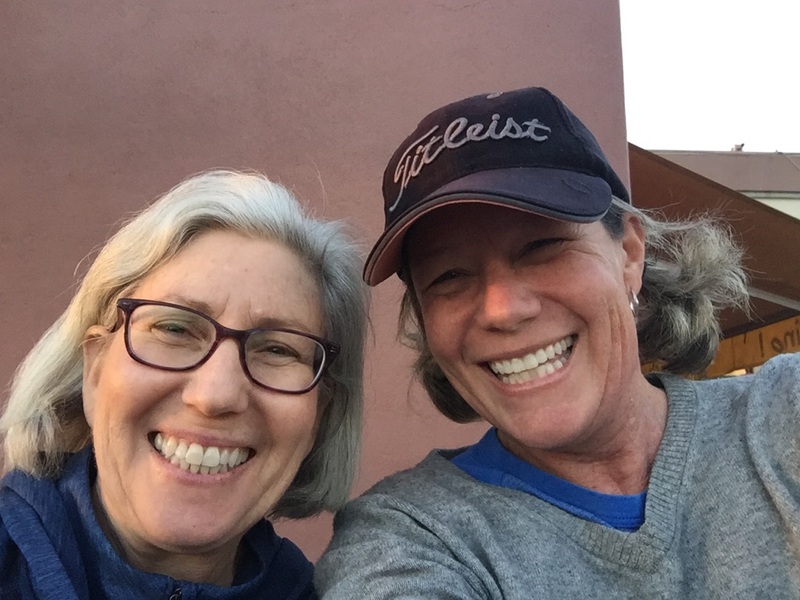 We gabbed for hours, too…such fun to reconnect! It was like no time had passed since we’d last seen each other – except, of course, for the significant changes in both our lives. 17 miles took us about 4 hours to drive because we had to keep stopping to check out the view! 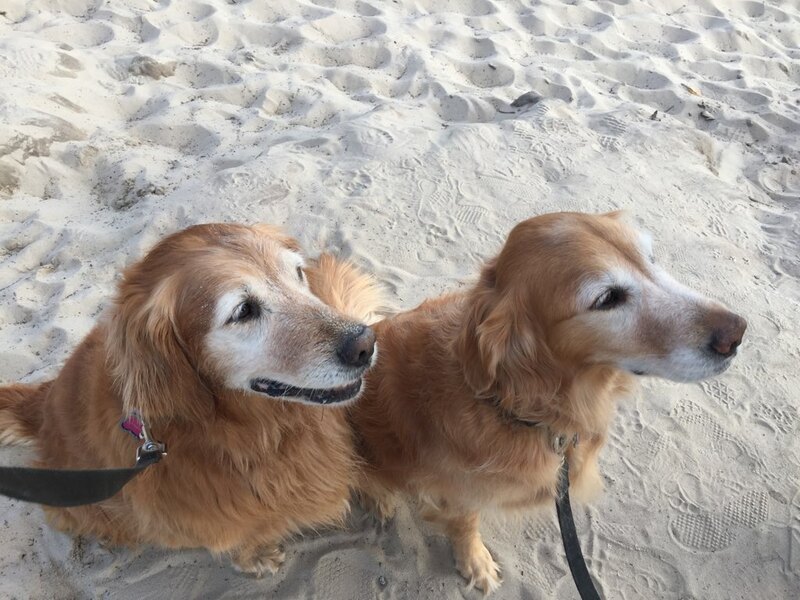 Next on the agenda was a pit-stop at Carmel-by-the-Sea for a walk on the beach…and low and behold, Sadie met her twin, Riley. It was really weird! Riley’s owner was snapping photos as madly as I was because the resemblance was uncanny. 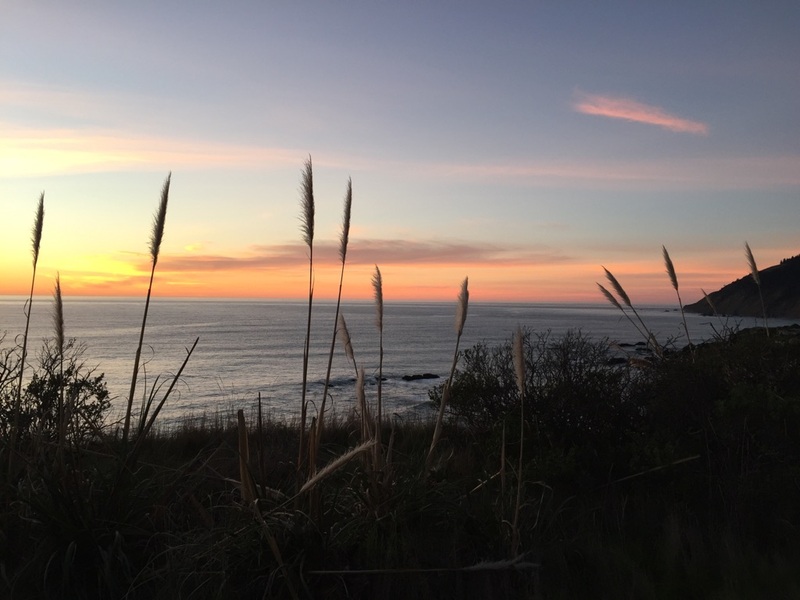 But Carmel, I find, is a special place…John and I were there on our honeymoon way back when. 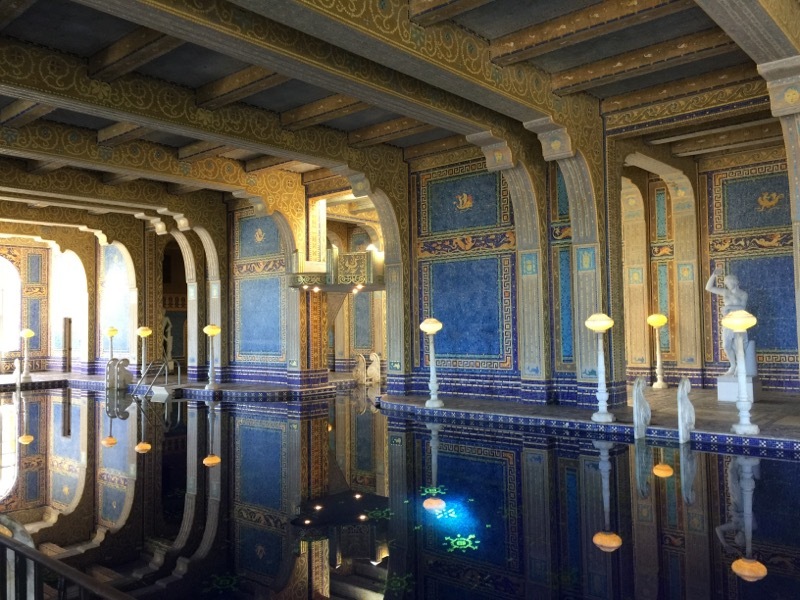 Then we got to visit the absolutely stunning Hearst Castle (the California “Ranch” of William Randolph Hearst) at San Simeon (about 4 hours south of San Francisco). WOW! On breaks from work, I sit in the garden and soak up the sunshine…listening to the birds chirp. It is QUIET! 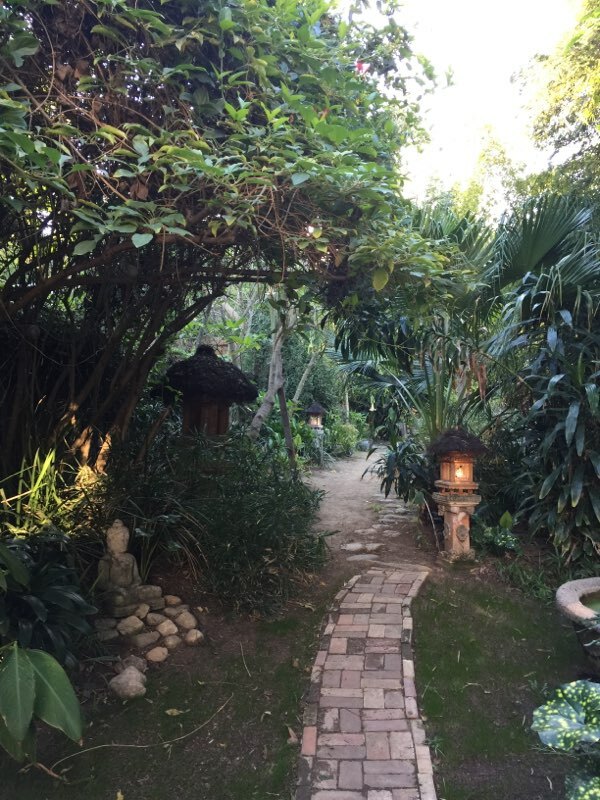 I mention this (again) because of the irony that I endured seven years of disruptive noise in the tiny retirement town of Sidney, only to land in the heart of Los Angeles and be able to enjoy the garden without having to listen to traffic, pounding bass, band saws or video games. We did venture out of Hollywood once…when Lani, Charlie and I took Kip & Sadie for a fun dog walk and chat. Lani Shipman is Nell Shipman’s great-granddaughter. If you are a regular reader of my blog, you may recall that I have been working on a screenplay project (God’s Country) about Nell Shipman (she was a silent screen star, born in Victoria, BC) and over the years, I have been very fortunate to get to know her family. 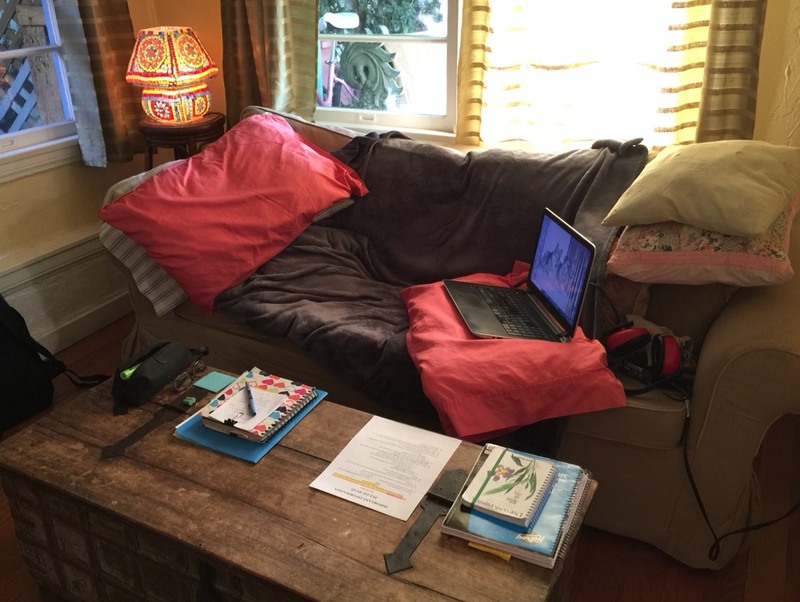 Alas, we must leave our quiet writing oasis tomorrow and head to Oceanside (an hour north of San Diego)…where I shall turn FIFTY (on Fri Feb 23rd)! YAHOOO!!! Thanks for reading, hope you enjoyed the photos and have a wonderful week! I love this post and there are so many beautiful pictures. The Pebble Beach drive is now on my must-do list. And the picture of Sadie and her twin has made my day. Thank you! 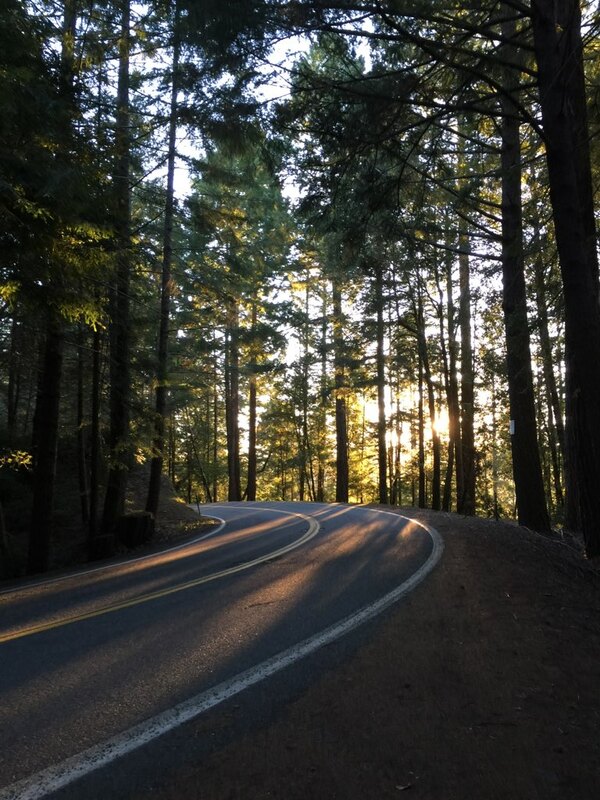 I love the photos of your adventure! And it looks like your dog, Sadie, is the perfect companion for this road you’re travelling on. Enjoy Oceanside! It is the only place I have been in respect to this adventure of yours. It’s a really cool place! Much love, light and peace to you. You bring so much meaning into my life and this world — thanks! Always appreciate your blogs! The pictures are spectacular! Hope you are safely in Oceanside and that you have a really “Happy Birthday” tomorrow! Oh wow…thank you so much for your kind words, Crystal!! I am looking forward to exploring Oceanside. The beach is incredible! Yes, Sadie really is an awesome road trip dog. She is so easy-going and loves the actual driving part of it…as long as we take lots of breaks. I rarely drive more than 5 hours in a day. That’s seems to be our max. I hope things are going well with you and I love seeing all your photos on Instagram and keeping up with your life, too. You ROCK! YES! 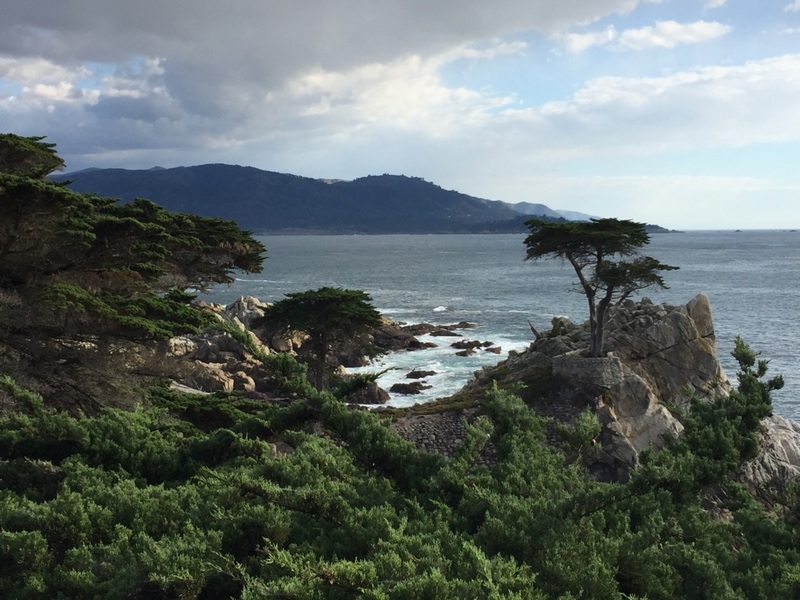 The 17 Mile Drive at Pebble Beach is absolutely stunning…you have to put it on your bucket list for sure. But here’s the thing: I DID do that drive with John years ago and I remember at the time it was amazing. 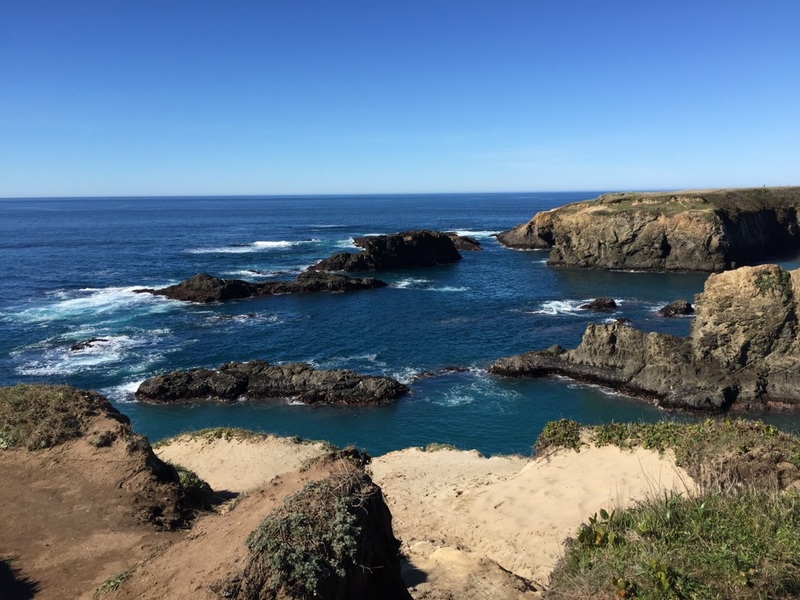 But then the memory must have faded because after I left Monterey the other morning (10 minutes north of Pebble Beach), I planned to just “drive down the coast” but quickly came across a booth where some ranger guy asked me for $10. And I looked at him and I said, “Oh…so this drive must be kinda nice then?” And he looked at me funny and said, “Uh…yeah.” So I paid him my $10 and then, once I was on the drive, it all came back to me! The Park Ranger must have thought I was the dumbest tourist that day! But what a drive!! And Pebble Beach, of course, is spectacular. I have never golfed it – but it is on my bucket list! Wow what gorgeous photos! The blog was a great mental escape from one of the snowiest and coldest Februaries in in Calgary in 25 years!